The L.D. Batchelder School's Makerspace (named The Imagination Studio by a fifth grade student) officially opened in the fall of 2017. This initiative was spearheaded by a team of Batch teachers, who are passionate about the maker movement and bringing additional engineering challenges to our students. They, along with all the faculty members, feel it is so important to prepare children for their future careers by giving them additional opportunities to think outside the box, to work as a team, and to experience the engineering design process, as they attempt to solve real world problems. We are so appreciative of the Batch BPO for funding many items, such as the 3D printer, in this space. This was not an easy challenge. Teams needed to use the design thinking process, as they brainstormed with their partner. 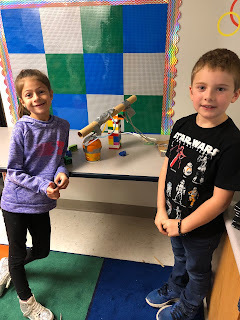 They developed a prototype, tested this prototype and made improvements to their design. The classroom teachers and I were so impressed with the creativity and the perseverance that the students demonstrated. With every challenge, students are becoming more confident and capable and we look forward to seeing their original designs during the winter and spring challenges. Mrs. Jolibert's Academic Biology class investigating how glucose is used to make energy during cellular respiration through clay modeling. 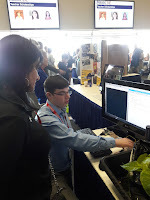 Michael Tyrrell explaining Python Programming to an attendee at the Masscue Conference. Kathy Dasho presented CoderZ: An Update 2018 along with Graham Celine of Intellitek. Kathy talked about using the new version "Crash Course" with her high school class and their results and collaborations, while Graham highlighted new updates and plans for the product. 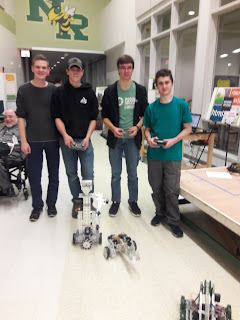 October 24, 2018 was North Reading's first STEAM night, and Kathy presented both of her high school classes, Robotics Academy and Web Design. 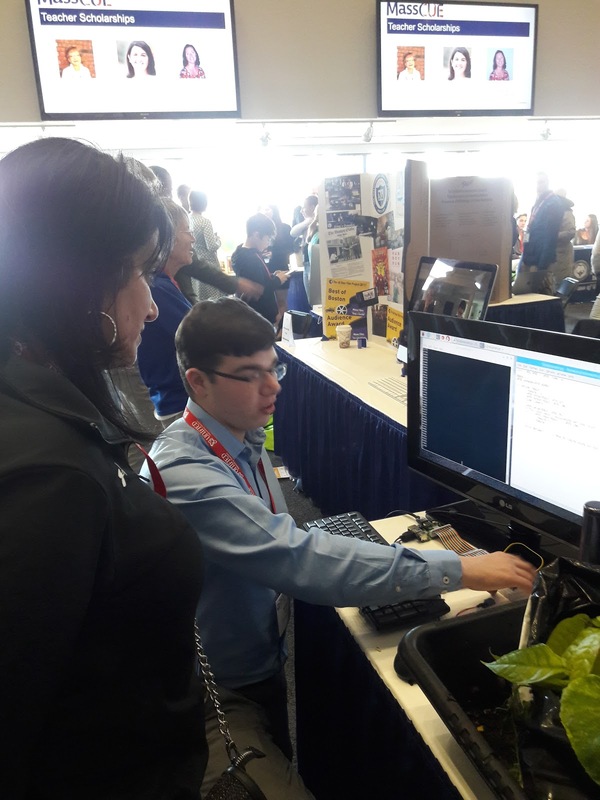 Tables were on display showing student projects, and students demonstrated and explained their robotic programming, challenges and coding for websites. I hope everyone has had an enjoyable and productive start to this new school year. Now that some of the beginning of the year “dust” has settled, and we have grown acclimatized to our classes, I would like to take this opportunity to introduce myself. 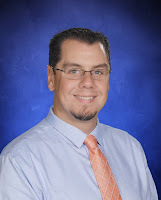 My name is James Sgroi and I am the new Digital Learning Specialist for the Middle and High School. 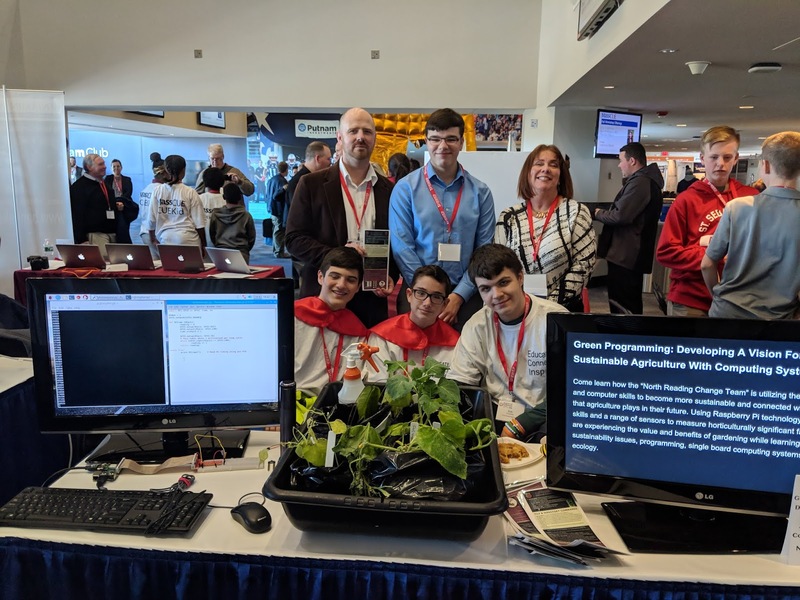 Prior to joining the North Reading team, I taught Computer Education at Timberlane Regional Middle school and during that time I completed my M.Ed in Technology Integration from Southern New Hampshire University. 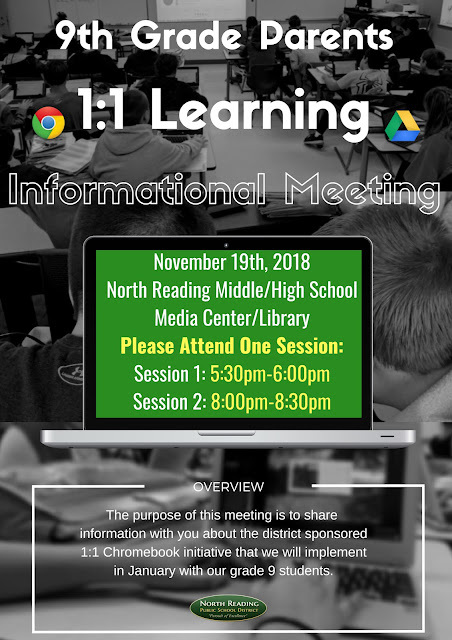 My goal here at North Reading is to assist and encourage you, the educational community, with all of your technology integration needs. 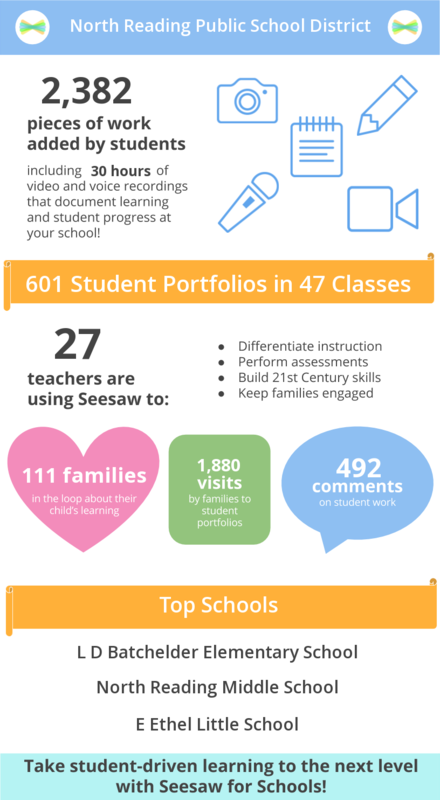 As educators, we all have varying and well-informed views towards integrating technology into our classrooms. 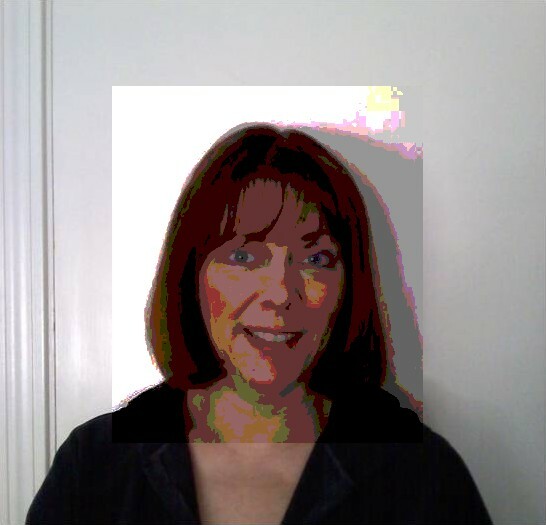 To me, technology integration is much more than just infusing technology into the curriculum. Technology integration is about motivation, building relationships, collaboration, professional development, evaluation, budgeting and creating methods and practices that align with our standards. I share in the belief that before technology integration can take place, we need to get to know our students, understand where their interests lie, and learn how to best support their needs. This support can change from lesson to lesson, grade to grade, and class to class. I also believe that this same approach applies to training teachers as well. We all come from various backgrounds, have numerous needs and different goals we all want to achieve. Determining and listening to educator needs lays the groundwork for positive collaboration and communication. More importantly, it allows the integrator, teachers and administrators to set their integration goals and enables these groups to create a framework that empowers them to not only achieve their objectives, but to continuously improve upon them. I believe it is also important to continue to perfect the technology integration craft and develop authentic professional development to support this because, quite simply, the evolution of education both today and in the future is technology driven. Today’s society depends on 21st century learning skills such as problem solving, critical thinking, innovation and the ability to analyze to succeed in its global environment. Technology has become the vehicle behind this movement and will continue to be the standard in which advancement is measured. We as educators, must continually adapt to meet the technological needs of our community in order to grow and prosper. We must also continuously update the tools in our toolbox, maintain an eye that focuses on trends and current research, and, most importantly, continue to develop collaborative relationships within the school community. All of these processes will not only keep our school community, teaching practices and goals valid and up-to-date, but it also allows us to adapt to changes more fluidly and effortlessly. This approach will strengthen us to take positive risks in our classrooms and encourage us to continually confront our comfort zones. When it comes to integrating technology, we are all in this together. Thank you for welcoming me into this special community. I am looking forward to working with you all.